During the latest interview in California, Mark Zuckerberg has announced the Facebook dislike button and its varied emotions. Now the final trial version of it has been rolled out and it is being tested by many Facebook users of Ireland and Spain. 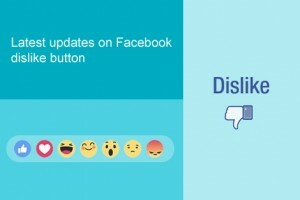 Hundreds of Facebook fans requested for dislike button since 2009, in order to satisfy their requests the Facebook has launched the dislike button in the form of six emojis. Love, yay, wow, sad, angry and a like button are the reactions used in emojis and each of it is used to express your love, amazement, hilariousness, sadness and angriness. Clicking “like” for a sad or negative post is not the right option to choose so, the Facebook experts had researched a lot to find the most frequently used human reactions and they turn it into six emojis. More than “like” button these emotions will reach the people faster and helps the users to express their feelings easily. To access the new set of emotions, the user should long press or hover over the “like” button and the set of emojis will appear on the screen. The user can select their suitable reaction for the Facebook posts. The new Facebook emojis is now available in Ireland and Spain and it can be accessed using iOS, android mobile phones and desktops. The global release date of most expected emojis is not announced by the tech giant, but it is hoping to be released soon for the people. So, let’s wait to welcome the new set of emojis in our Facebook app.